4. Protect su by limiting access only to admin group. Add a admin group to the system and add your own admin username to the group by replacing below with your admin username. 5. Harden network with sysctl settings. 6. Disable Open DNS Recursion and Remove Version Info - BIND DNS Server. 8. Harden PHP for security. 9. Restrict Apache Information Leakage. 10. Web Application Firewall - ModSecurity. 12. Scan logs and ban suspicious hosts - DenyHosts and Fail2Ban. 13. Intrusion Detection - PSAD. 14. Check for rootkits - RKHunter and CHKRootKit. 15. Scan open ports - Nmap. 16. Analyse system LOG files - LogWatch. 18. 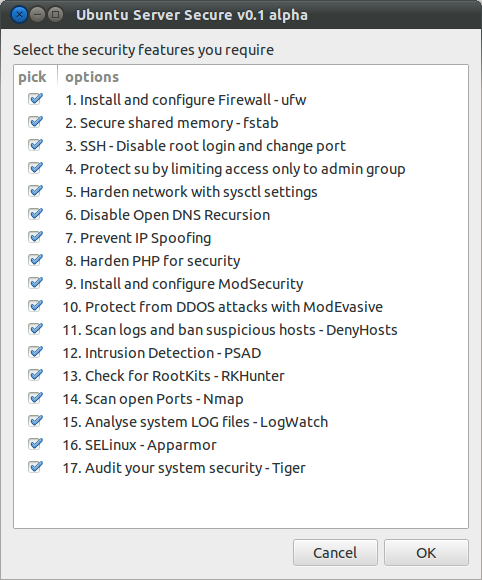 Audit your system security - Tiger. considered a work in progress. 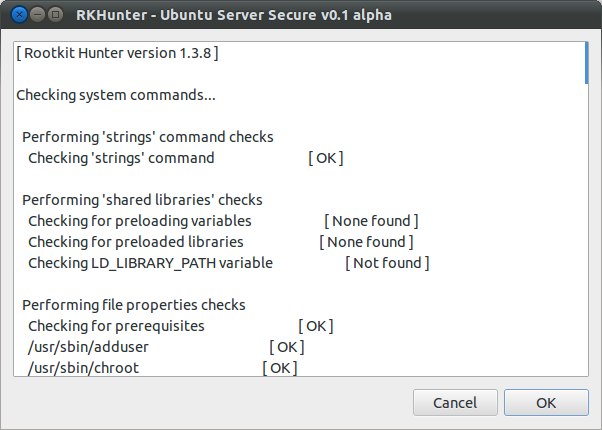 configure various security features found in How to secure an Ubuntu 12.04 LTS server - Part 1 The Basics. Ubuntu 12.04 LTS server with a standard LAMP stack installed.